"If, then, Jesus is indeed the Christ, as we so testify, what must we do? "Christ's supreme sacrifice can find full fruition in our lives only as we accept the invitation to follow him. This call is not irrelevant, unrealistic, or impossible. 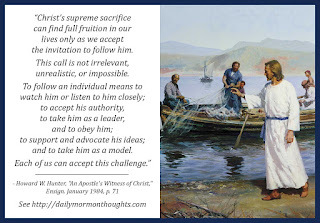 To follow an individual means to watch him or listen to him closely; to accept his authority, to take him as a leader, and to obey him; to support and advocate his ideas; and to take him as a model. Each of us can accept this challenge. Peter said, 'Christ also suffered for us, leaving us an example, that ye should follow his steps.' (1 Pet. 2:21.) 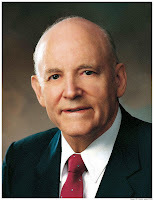 Just as teachings that do not conform to Christ's doctrine are false, so a life that does not conform to Christ's example is misdirected, and may not achieve its high potential destiny." 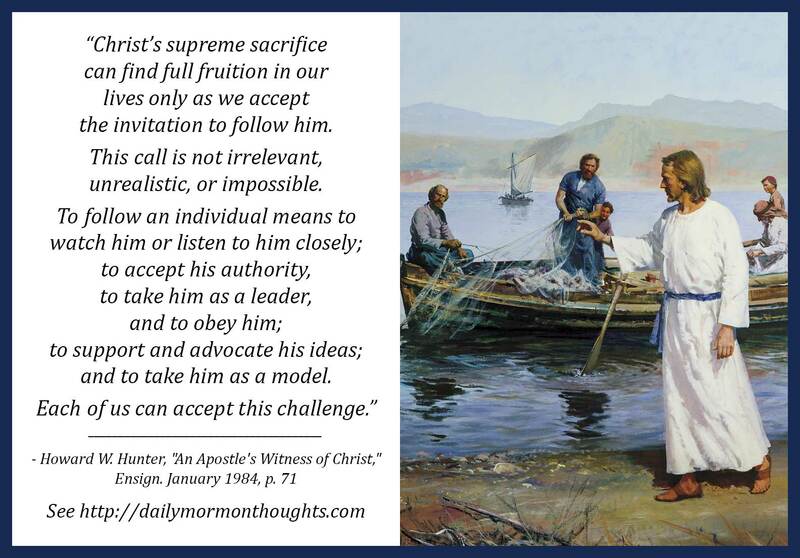 How do we accept the invitation to follow Jesus Christ? What does it mean to follow Him? These are critical, eternal questions; President Hunter has some wonderful suggestions for us to consider. Those steps are worth considering carefully; am I doing all I can to truly follow Him? Where can I improve? President Hunter teaches that a life that does not conform to the doctrines of the Savior is "misdirected, and may not achieve its high potential destiny."